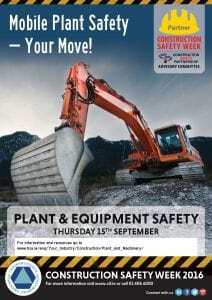 After falls, the most common reason for fatal or serious accidents in the construction industry are incidents with mobile plant and equipment. Common to the use of all mobile plant and vehicles is the need to segregate vehicles from pedestrians, train staff to use the machines competently; and make sure that the machines are regularly inspected, serviced and maintained. Dumper trucks - Consider overturning and collision.